A frame rate test, embedded above, shows the game generally keeping above 30 FPS, but varying quite a bit depending on what’s on screen. “In effect, the game is constantly tearing unless not much is going on, whereupon it locks at 60fps – this occurs for pretty much the entirety of the extended initial training, but sees considerable variation in-game. 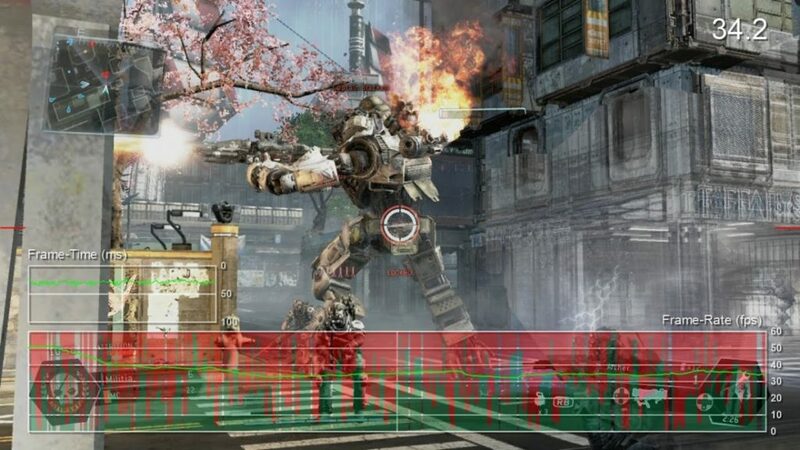 This is clearly the preferred default from the development team, and offers the fastest-possible controller response at the expense of consistency – both in terms of input lag and frame-rate,” Digital Foundry’s Richard Leadbetter writes. If you don’t like the inconsistent framerate and tearing, the game allows you to lock the framerate at 30 FPS. The tradeoff is this makes the overall frame rate lower. So, if you mostly game on the 360, and don’t plan on getting an Xbox One or a gaming PC any time soon, the consensus that’s emerging seems to be to jump right in and start shooting.